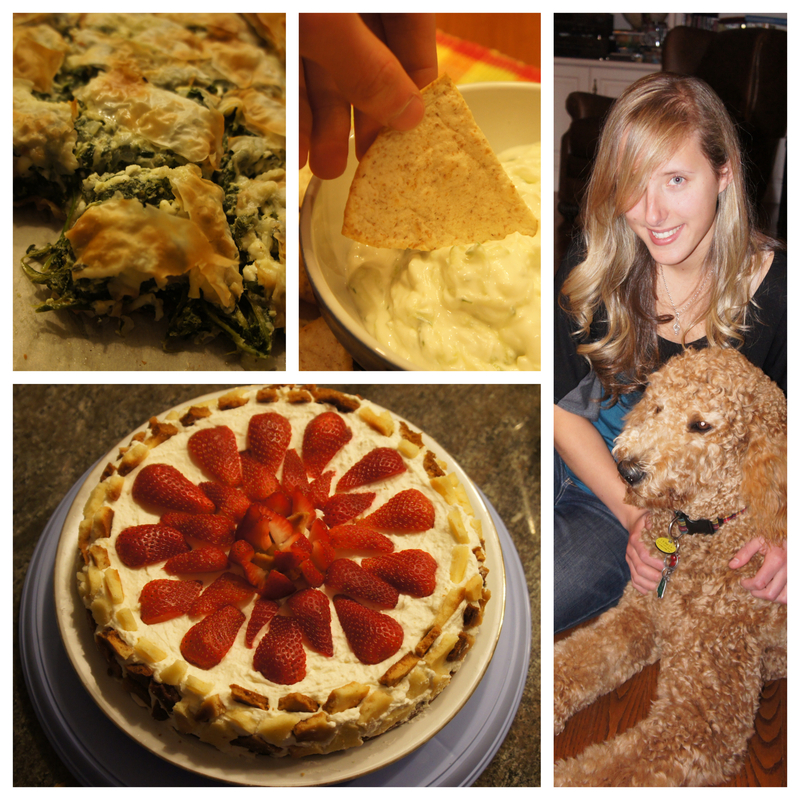 Mum's spanikopita, tzatziki & tortilla chips, complimentary hair colours, and a beautiful cake from our friends! A few weeks ago some family friends of ours came over for dinner and we went with a Greek menu. It was lovely to catch up with them and as you can imagine I always enjoy getting ready for a little feast. I was asked for the recipe for the tzatziki and promised to send it over right away, but of course with my great organization skills during exams that didn’t happen. So here it is, only three weeks late! 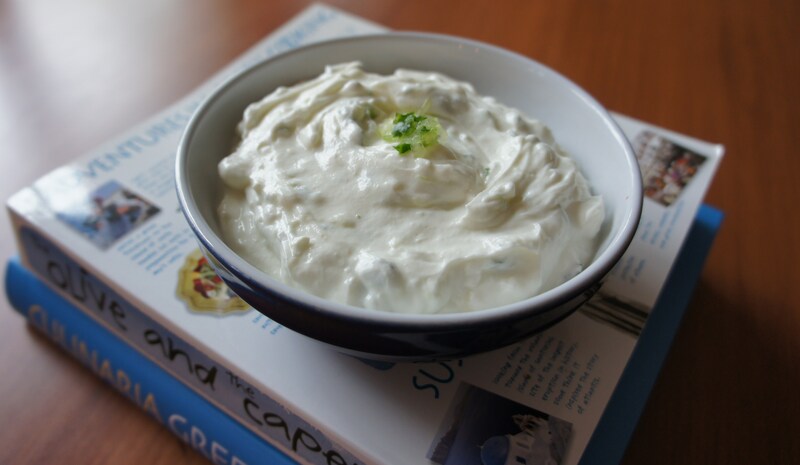 Tzatziki is a traditional Greek sauce/appetizer/dip, depending on how you serve it. We like eating it with souvlaki and grilled meat, veggies, bread and crackers, or just straight out of the bowl. Until today I had never actually measured what I was throwing into the tzatziki, so it’s quite easy to just make it to your own taste. If you like Greek food, you really can’t leave out the tzatziki! If you’re straining your own yogurt let it sit in the fridge for at least 3-4 hours. Mix all ingredients in a bowl and serve. It’s that easy. Enjoy! This entry was posted in Food, Glorious Food!, Nutritious & Delicious and tagged easy, greek food, healthy, recipe, tzatziki, yogurt by kshap. Bookmark the permalink.